Had a great Bottom fishing trip. 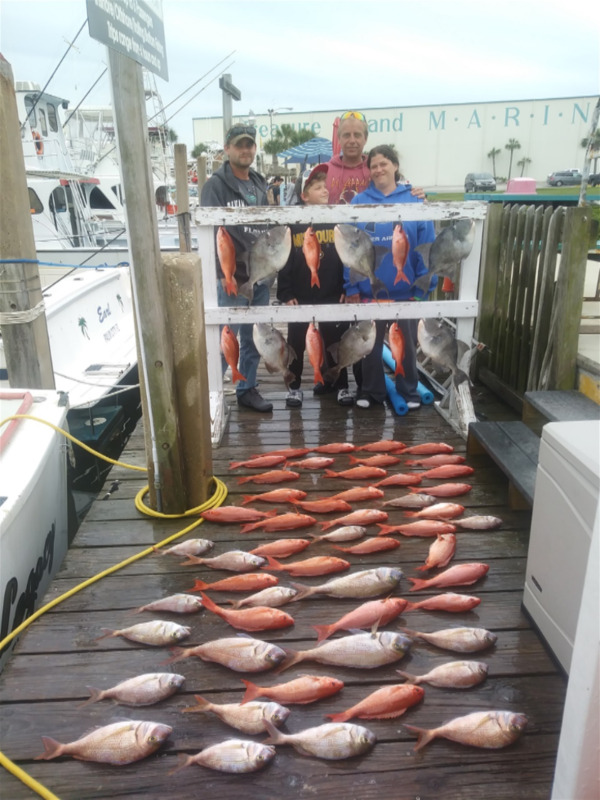 Caught some vermilion and white snapper, trigger fish. They also caught some red snapper and amber jacks (catch and release) and got to see a huge shark and some dolphins.